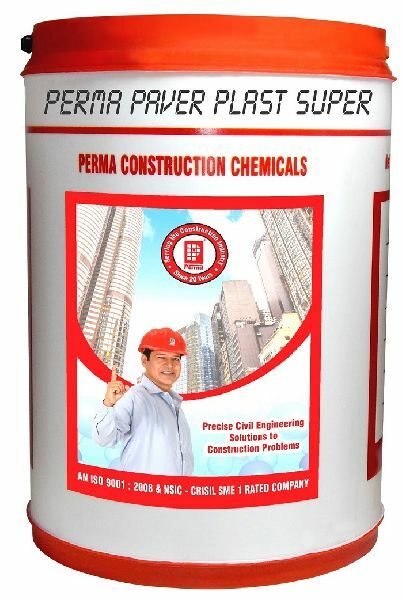 Perma Paver Plast Super is a superior quality admixture specially developed for application in the pre-cast concrete industry. Due to its high performance, high strength concrete could be manufactured for manufacturing of cement tiles, paver blocks etc. It is a clear liquid hence does not change color in concrete. It is strongly recommended tor tile industries and pre-cast units.